Very exciting and I love the cute ponies too! 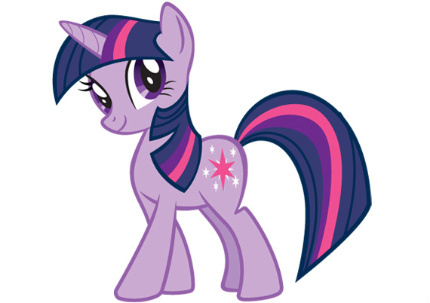 Can anyone please tell me the differences between this horse and the MilHorse model? Also looking at the texture templates it looks as though it shouldn't be a huge job transferring the older texture maps over, or perhaps there are MilHorse uvs included as in Genesis? I have tons and tons of my own custom textures and don't want to have to do them all over from scratch..
Really wanting to buy this but just plonked down as wad on all the sale items over the past couple of weeks, think my OH will be unhappy if not for very good reasons lol. Most of my artwork includes the MilHorse or the Heavy Horse models so this is going to be a huge difference to me. In the Pro Bundle the PC link for the Western Gear Poser Core file downloads the Mac one. I've just had to pop out to feed my real horses but got a notification on my phone and thought I'd add that in my download links everything for the pro bundle has been duplicated, it wasn't until I'd checked the folder I'm downloading it all to that I realised as there I just so much stuff. it'll take forever to install it all lol. As an aside does anyone know if there is any way to filter Mac and pc downloads like on the old site? Pain in the bum realising you've been downloading the wrong one with a huge list to go through! I just tested this again, I am seeing the discount. Tested logged in and not logged in... worked for both. Perhaps contact Customer Support. Another missing file in the Pro bundle, No links are in the bundle for the PC Horse Accessories - DSON Core file. I also noticed that one of the link that for another product in the bundle that showed up multiple times for another item was downloading the wrong file, yet a duplicate link that had the samee name was downloading the correct file. So it will definately work in DS4. What if I load it in DS4, then export it as a CR2? Will I be able to load and use it in DS3, then? There are multiple issues with the Pro bundle links. First off, every file is listed twice (so you see 2 PC DSON, 2 PC PCF, 2 Mac DSON, 2 MAC PCF entires for each included product). And at least one product (Wagon Trail 2) has all files listed *three* times. Horse Accessories DSON Core has the PC download labled as Mac. So you have to click each of them until you find the one that gives the .exe instead of the .zip. 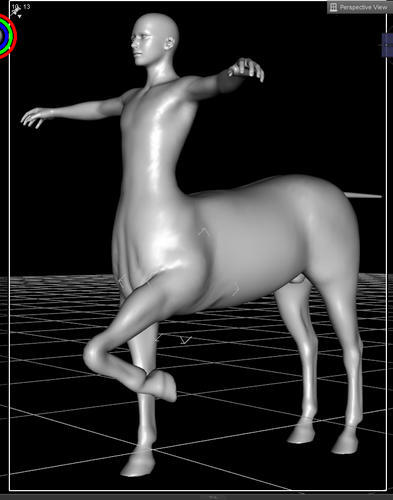 I thought the centaur addon is excellent LOL!!! 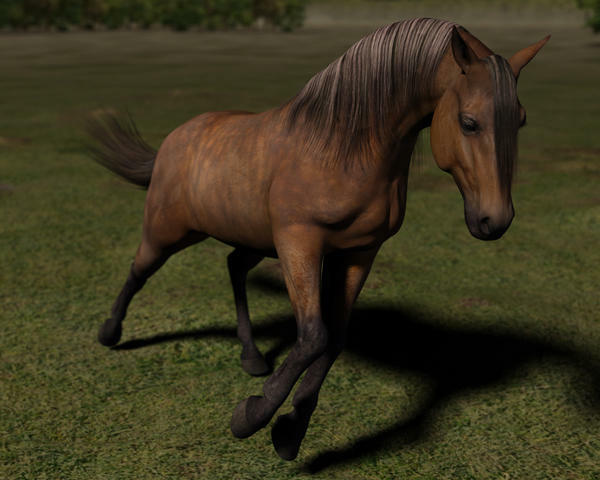 The Pro Pack Horse textures updated for the new Daz Horse. Racing Image: Features the Bay and Dapple Grey horse textures, with the fabulous Jockey Set by SickeYield and Marieah, and superb Racehorse Tack by Ken Gilliland. Cowhorse- The Palomino horse in his updated Western Tack by WillDupre, using the "Wild West" textures by me. More to come of the other horse coats/colors! Wondering when this will hit? Also is the mapping for the Mil horse built in as a UV option into the new DAZ Horse 2? That would be truly awesome! I was so happy to see this new horse! Just what I wanted and perfect timing. Well done Daz and all the artists involved. 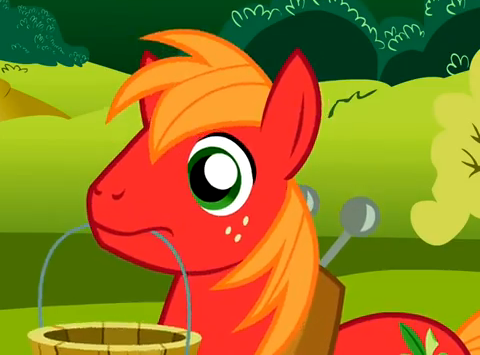 I like Daz Horse 2 very much. Rendered in DS 4.5 Pro. Click the image to see it enlarged. I'd want the horse for renders illustrating a story in a medieval-ish fantasy setting, but geared up just for travelling, not jousting or as heavy cavalry. So I just want simple historical/fantasy horse tack, NOT barding. But for MH2 the selection appears to be the same as for the original MH: Western and modern English tack, both anachronistic for my needs; and historical/fantasy barding for battle, joust or pageant display, not simple travelling tack. Nobody seems to have made a set of fantasy/historical non-barding tack suitable for just journeying down the road since the set for the DAZ Charger. Are any out of the Ceremonial Armor, Knightly Barding or Dark Barding made in such a way that one can extract - or turn bits off so one only sees - a basic, no armour set of tack appropriate for a medieval/fantasy milieu: bridle and reins, saddle pad/blanket, girth, stirrups and simple saddle only? I mean ... even for those with a medieval knight jousting and trotting off questing with their destrier in full barding (which one wouldn't have just for travelling, but never mind), where's the tack for the lady's palfrey, the merchant's rouncey or the bandit's hobby? Or even for the knight or lord's courser when they are just out hunting? And my fantasy series is set somewhere that is not medieval England, is not that much like medieval England, does not have knights per se, and while barding does exist amongst certain groups for certain purposes, it is rare and never features in the stories. So please: could somebody make some basic tack suitable for pre-nineteenth century non-warhorses (and even warhorses while travelling and not actually in or just about to go into battle)? I suppose I might be able to extract the tack from Predatron's Lorez Horse or donkey and refit them .... sigh. AWESOME! I so want this thing! I agree David, there really should be some fantasy and old world tack and pack for the horse. In the candy land of magic dreams where happy people live the Toy Ponies bring love and joy and happiness to all they meet. Singing flowers sprout over every trail they pass and the smiling sun always shines to light their way.....and *cough cough*...opps...almost gagged on that. But yeah, these things are cute. You get it.